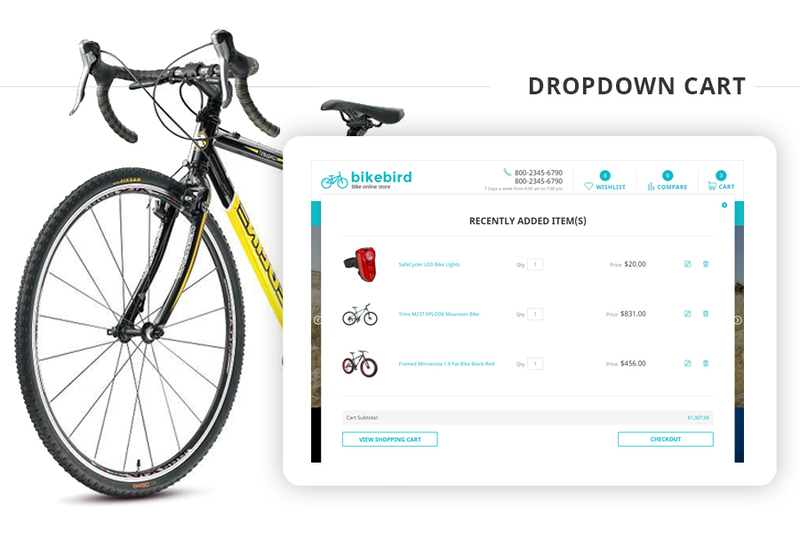 BikeBird is a responsive Bike Magento Theme designed for bikes, motorcycles and spare parts online stores. 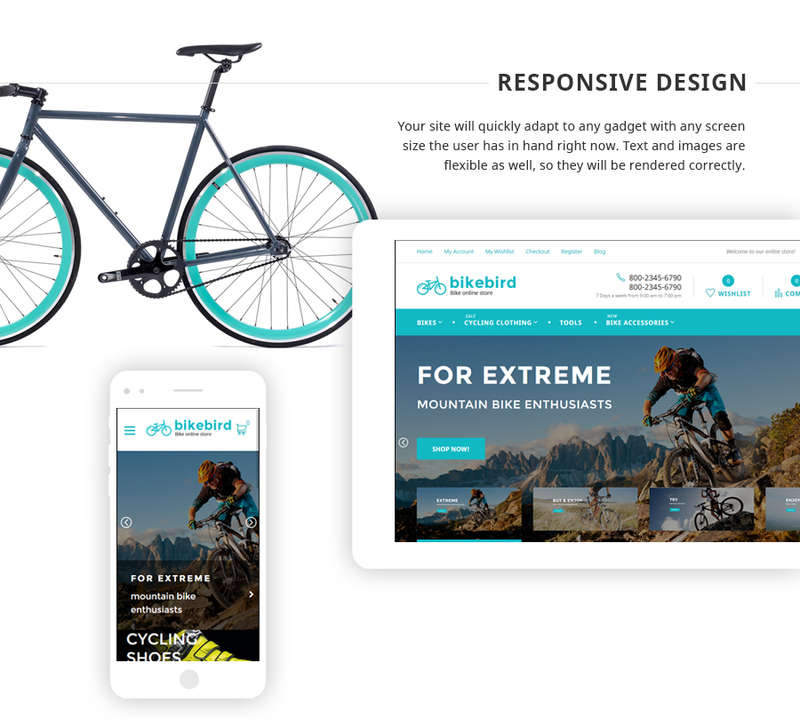 Bike web design needs to be appealing to the target audience, which means it should simply ooze the adrenaline. 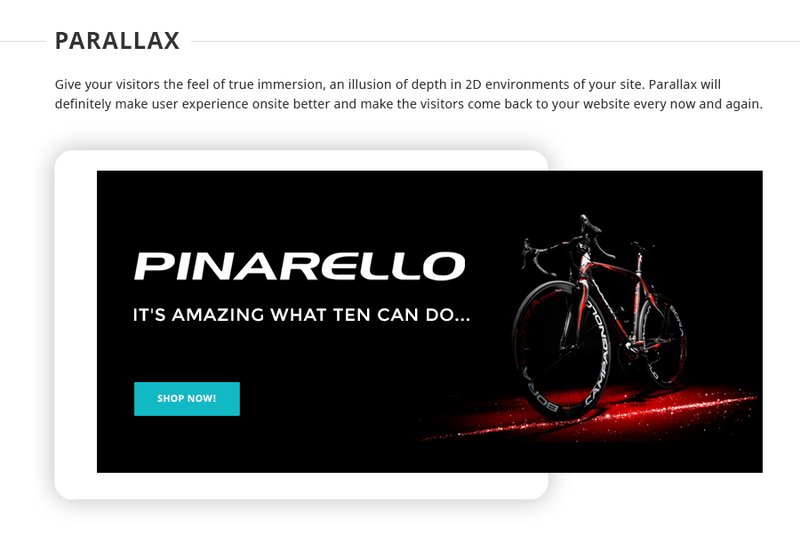 A Parallax effect and the hover effects which are present at this template will add motion and liveliness to your website, a grid layout with no space between the images will give an impression of dynamic connection of the images. 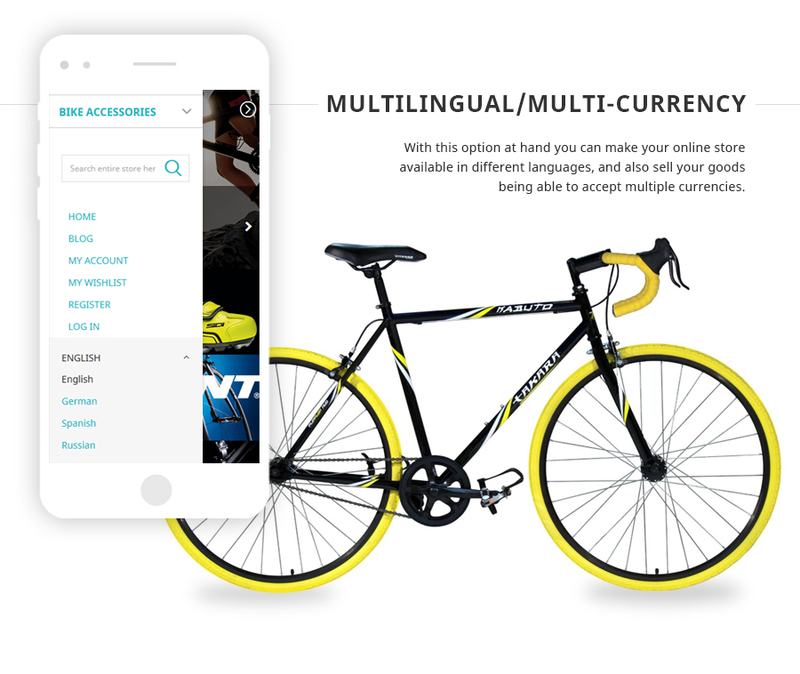 With your help, BikeBird Theme may turn into a highly converting bike online store. 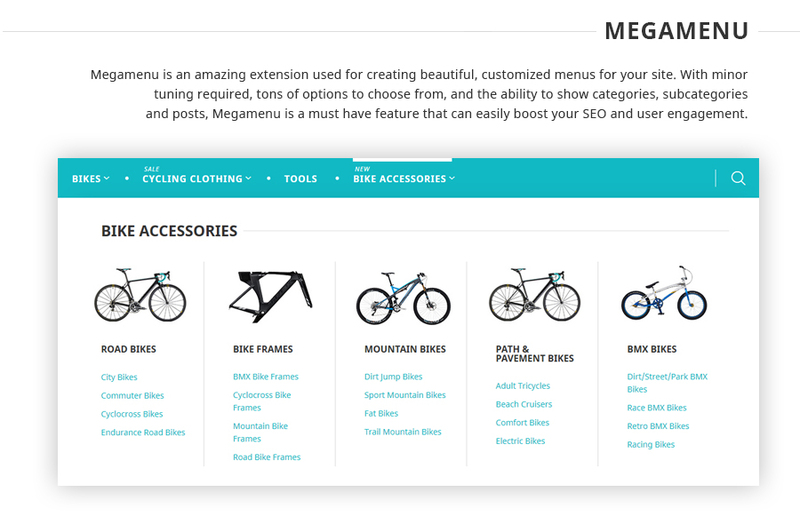 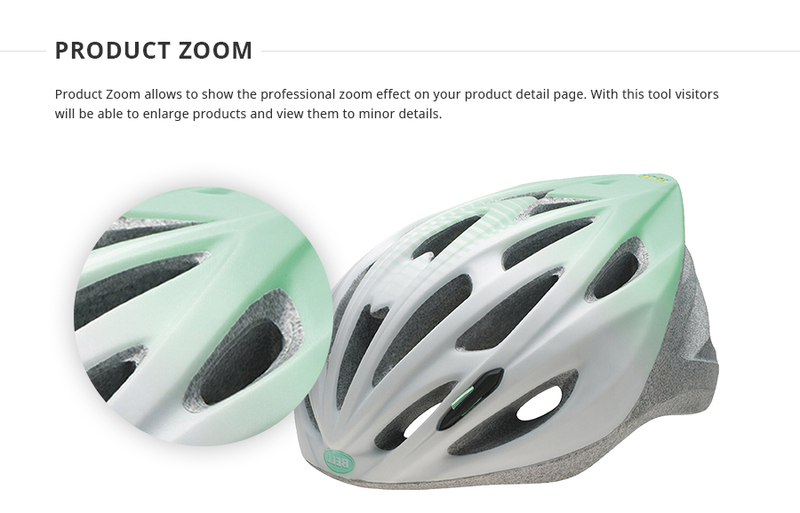 Using a carousel will help you showcase the items and let a viewer choose a product which he likes quicker. 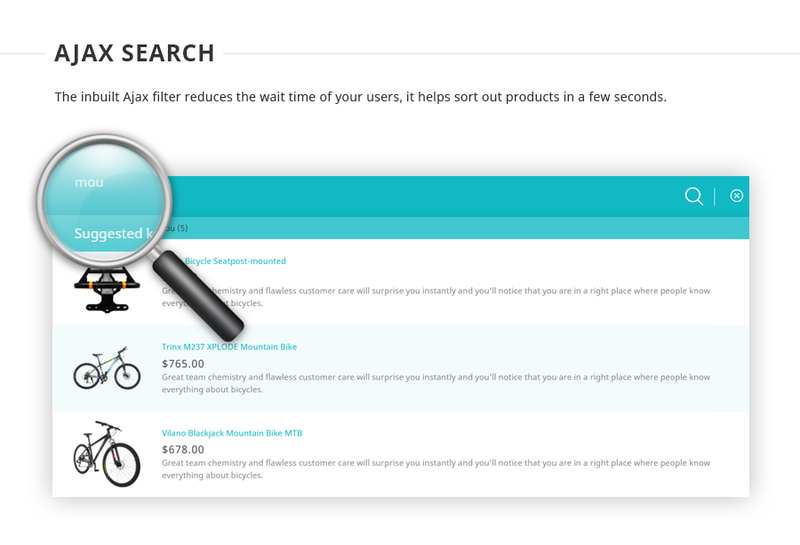 Speaking of the products, don’t overlook the banners which you can use for placing your best products or product categories, which deserve a special attention. 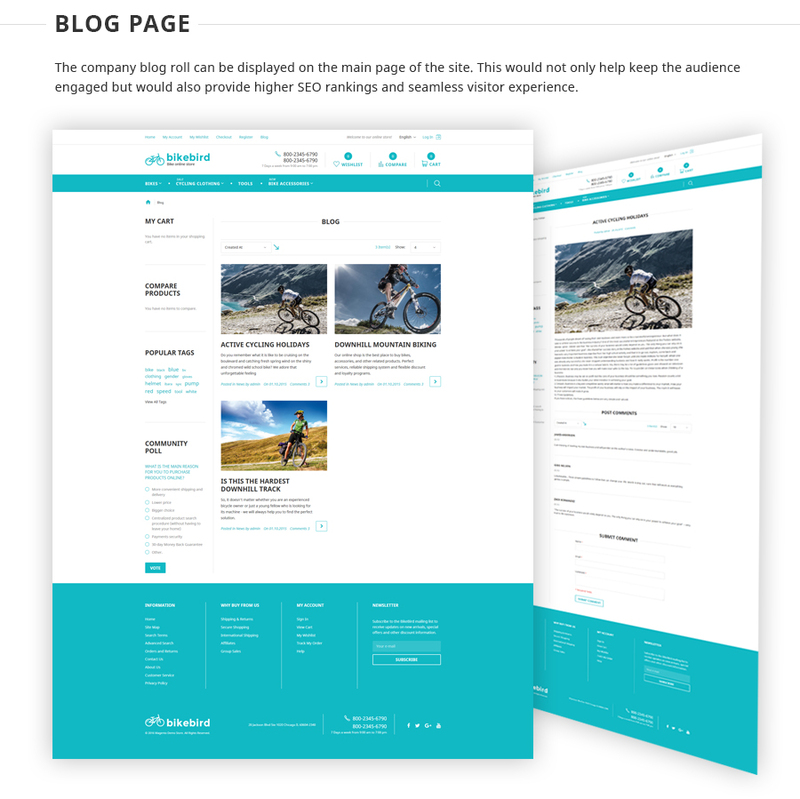 On top of that, don’t forget you can use space for the latest blog posts – the news on the updates of a bike world are always in demand.